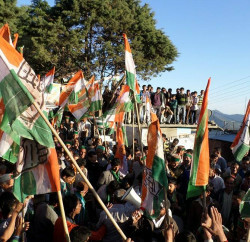 Shimla: After lackluster response from potential candidates for the Parliamentary election, the Himachal Pradesh Congress has extended last date of application for 3rd February. Rajneesh Kimta, General Secretary State Congress, in his press communique, revealed that aspirants can now apply upto 3rd February. Earlier last date of filling application was 31st January. As per information, party hasn’t received any application for Mandi Parliamentary segment, while lone aspirant has demanded ticket from Kangra segment. Shimla Lok Sabha seat has received seven applications and four claimants have applied for party ticket from Hamirpur parliamentary segment. 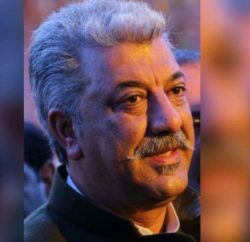 From Shimla parliamentary segment beside youth leader Amit Nanda, congress senior leader Gangu Ram Musafir and former Kasumpati legislature Sohan Lal have pressed for their candidature. But Col Dhani Ram Shandil, who was one of strong contender for the seat, hasn’t applied for the ticket. Abhishek Rana, son of Sujanpur legislature, has applied for party ticket. He has also got backing of Congress veteran Virbhadra Singh. Former Hamirpur legislature Anita Verma has also sought party candidature. 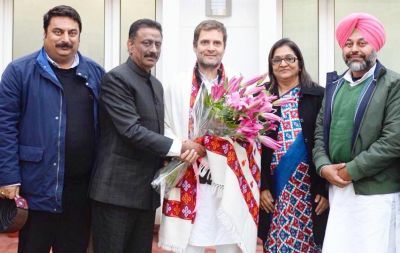 Meanwhile Himachal Congress President Kuldeep Singh Rathore called upon the AICC President Rahul Gandhi and apprised him about the party activities in the state. Rathore informed AICC president about his latest tour of three parliamentary segment of the state. Kuldeep Rathore assured Gandhi about positive outcome in the parliamentary election. He also assured him to unite party leaders and party cadre for strengthen party in the state. 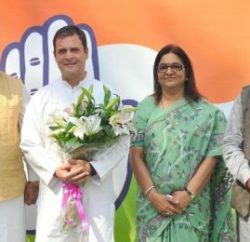 PCC president was accompanied by CWC member and in charge Himachal affairs Rajini Patil, AICC secretary and co in charge Gurkirat Kotli, Ranjeeta Ranjan, Leader of opposition Mukesh Agnihotri and general secretary in charge (org&admin) HPCC Rajneesh Kimta .